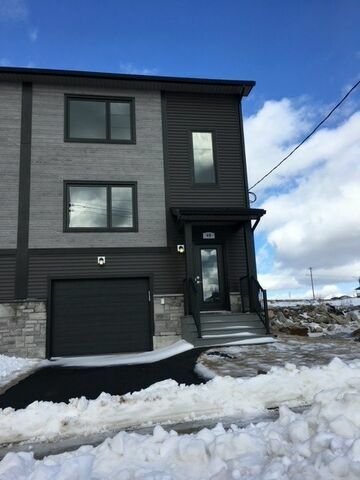 1162 40 Titanium Crescent, Spryfield (MLS® 201902648 ) Welcome to Governors Brook! The community is conveniently located within 15 minutes from Halifax's downtown core. It's access to public transportation routes, neighbourhood amenities, provincial parks and open space makes it an ideal location for young professionals and active families. 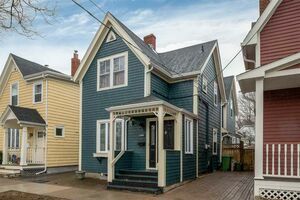 This 2 storey semi detached home with garage features almost 2000 sq ft of total living space. On the main floor you will find the living room, kitchen, dining room and powder room. The 2nd level features the master bedroom complete with 3 piece ensuite, 2 additional bedrooms, another 4 piece bath and laundry. Located in the basement is the large rec room, den and a 2 piece bath. 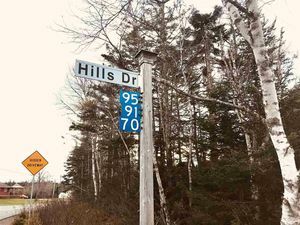 The community is surrounded by over 150 acres of natural conservation land with direct access to McIntosh Run Community Trail and is minutes from Long Lake Provincial Park. Make Governors Brook your home today!